How to instantly Retrieve your Windows Vista Password? For most of us, system password is something with which we have a love-hate relationship. For positive reason, setting a password for your Windows is a fantastic way to dissuade unauthorized people from logging onto your Windows Vista; for negative reason, forgetting an obscure password is something makes you in a world of pain. Certainly we have to create a Vista password for PC security, but how should we do to retrieve Vista password after we incidentally forgot Vista password? Read the following steps to learn how easily break Vista password. Microsoft Windows Vista allows you to make a vista password reset disc before you forgot the system password. In Windows Vista, head to “User Accounts” and “Family Safety” in Control Panel. Here, under “User Accounts”, you’ll find the “Make a Password Reset Disc” option. The wizard will question you to insert the removable drive, prompt you for the current account password, and make the password reset disc. Now that you have a Vista password reset disk, insert it to your computer. Click “reset password” button under the password entry window once you type the wrong password. The “Windows Password Reset disk” pops up. You are asked to select the location of Windows password reset disk. Type the new password twice to make sure you type correct. It is optional but recommended to create a hint that can help you find Vista password in case you lose password again. Note: You need to make a disk for only one time —it works well no matter how many times you changed the password after you burned the disk. You can recover Vista password with ease once you have this disk at hand. It is useful to unlock Vista password with password reset disk, but what do you do if you find yourself locked out without that disk? Don’t regret that you are not proactive enough to create a disk in advance. There are still solutions to access to system again after you forgot the password. That is Windows Vista Password Unlocker which is an easy-to-use yet powerful program to reset Windows password. Here is how to operate it. Step 1: You need another available computer. Download Vista Password Breaker, setup and run it by following the wizard. Never forget to insert a blank CD. Step 2: Choose “reset Windows local account password”, and tick “CD/DVD” and specify your device. Step 3: Click “Burn” to start burning a Vista password reset CD. Step 4: Insert your CD to the computer whose password you have forgotten and boot it from this CD. You will enter the interface of Vista Password Cracker under Win PE. Step 5: Choose the Windows installation to be processed, and select the user account you would like to reset and click “reset”. When you are notified with two dictators, confirm your reset by clicking “Yes” and “OK”. Your password has been removed. 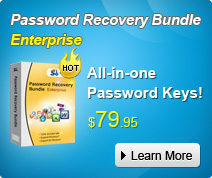 Find a forgotten Windows Vista password?